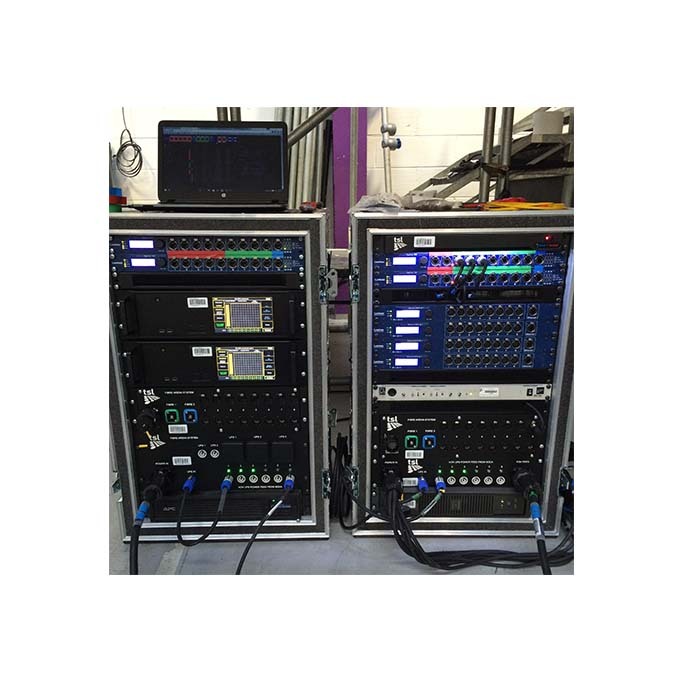 Sam Tamplin from TSL took personal charge of not only the design but the construction of TSL’s latest technology investment; a fibre network system to act as the backbone of control systems for arena sized shows. The system is based around 4 x Luminex GigaCore 16xt switches, 2 at each end of the multicore. A completely redundant loop of quad core multimode fibre links all four switches ensuring networks remain up if there is a break. The multicore itself is 150m of 2.5mm Soca, 2 x quad core fibre and 1 x 8way DMX multipin loomed together in a figure of 8 trunk. 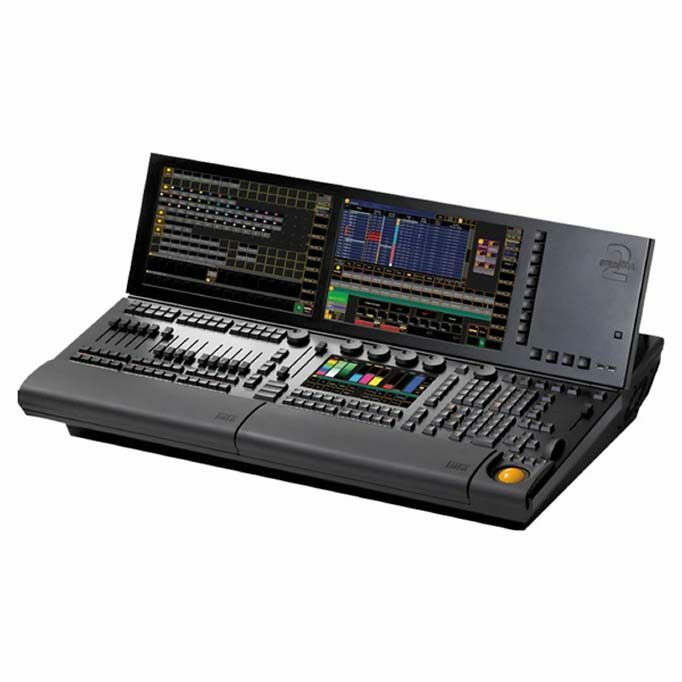 The socapex power gives 6 circuits of power to FOH meaning that if one circuit fails another can be used, most configurations will have each console and the FOH rack on a separate circuit. 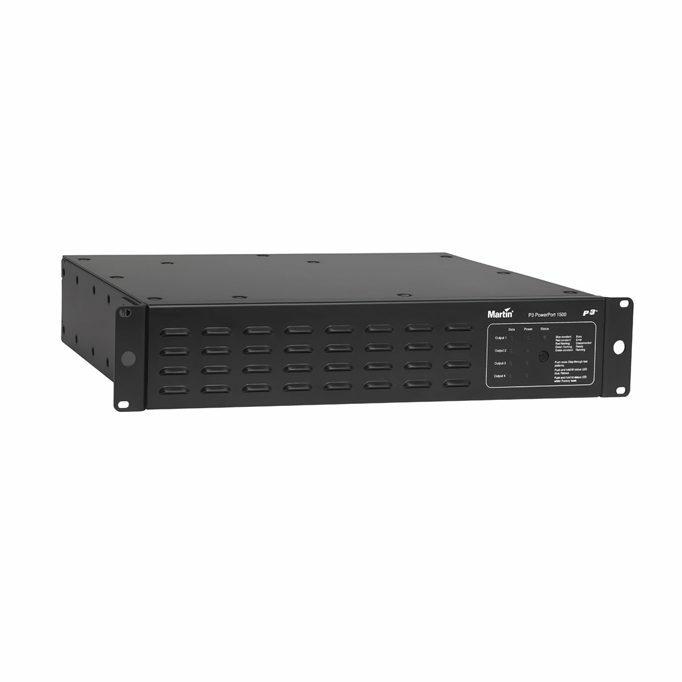 At each end of the multicore is an 18u rack fitted with a UPS 8way dmx breakout which can be used for comms or backup DMX and the Luminex switches. 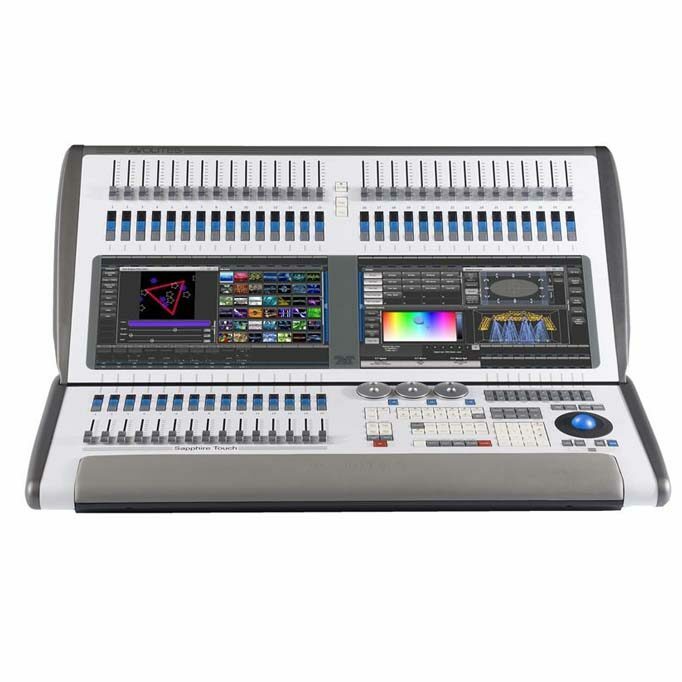 The package comes complete with a comms system for FOH to Dimmers communication, 4 x node 8 luminex boxes and space at FOH for console specific outboard like MA2 NPUs or DP8000s etc. 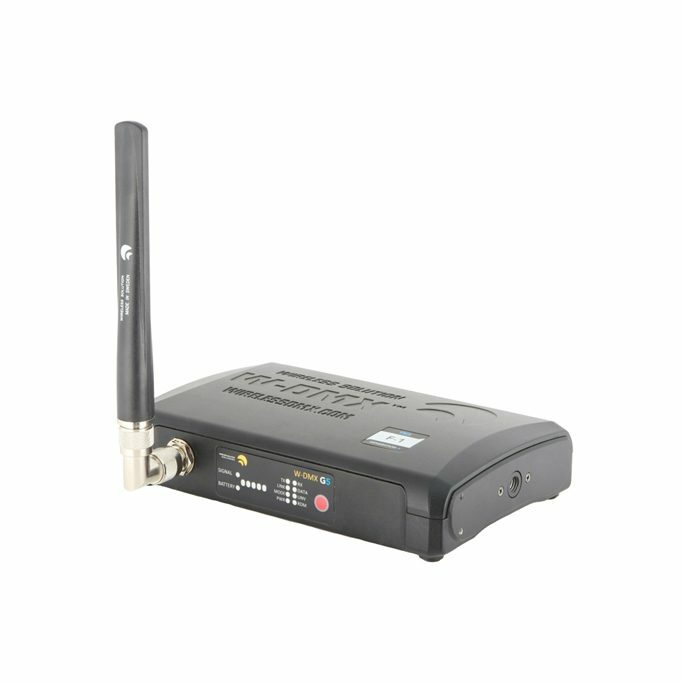 The Gigacore 16XT switch allows really easy vlan configuration meaning that you can have multiple networks for ArtNet, MA Net, Management, Hippo Net etc.